Lee Mack is an English comedian who is best known for his long-running shows; Not Going Out and Would I Lie to You? which have been running since 2005 and 2006 respectively. The latter has earned him at least four BAFTA nominations and three British Comedy Awards. As part of the comedy series, The Sketch Show, Mack earned his first BAFTA nomination which he went on to win. Here are details about his professional and personal life. Who is Lee Mack’s Wife? As is always the case with famous men, fans of the ace comedian have been interested in Lee Mack’s romantic life, thus the question “Who is Lee Mack’s Wife?” has been among the most searched questions online about the comedian. It is known to all that Mack is a married man, however, his wife Tara McKillop tends to keep away from the public eye thus not much information about her is available to the media. The couple got married in 2005 and have since remained together. They share three children named Arlo, Louie, and Millie whom they are raising in their home in Surrey. Mack’s wife Tara McKillop might remain a mystery to the media, however, the longevity of their union is an indication that they are enjoying a blissful marriage. A household name in the British media industry, Lee Mack has done so well for himself and has come far from his days of humble beginnings. Full-time comedy for Mack began after he won the show So You Think You’re Funny which held at the 1995 Edinburgh Festival Fringe. He quickly worked his way up to becoming one of the most renowned British comedians and of course one of the wealthiest. He has released at least three stand-up DVDs that sold well, they are; Channel 4’s Live at London’s Bloomsbury Theatre (2007), BBC One’s Going Out Live, at London’s HMV Hammersmith Apollo (2010) and Channel 4’s Hit The Road Mack (2014) also at the London’s HMV Hammersmith Apollo. His TV job as presenter and host of several shows like; Duck Quacks Don’t Echo, They Think It’s All Over, Have I Got News for You and Never Mind the Buzzcocks contribute immensely to his net worth. However, none of those come close to his two hit shows – sitcom Not Going Out and the panel show, Would I Lie to You? Other contributors to his wealth include his own BBC Radio 2 show titled; The Lee Mack Show which has brought him three BC Awards. His compere job at the Queen’s Diamond Jubilee Concert which was held in 2012 outside Buckingham Palace in London no doubt added a substantial amount to his earnings. Lee Mack’s average annual income is said to be £700,000, while his net worth has been estimated at £4 million. 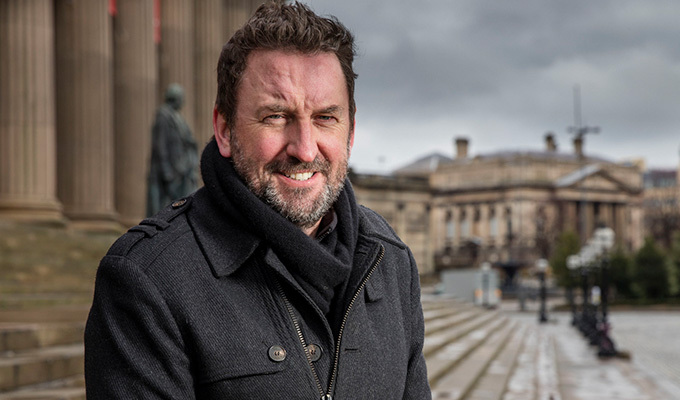 Before he made up his mind to pursue comedy full-time, Lee Mack worked a series of odd jobs after graduating from Everton High School in Blackburn. One of those jobs was working as a stable boy in a bingo hall. He later worked for three years at the stable of racehorse trainer Ginger McCain in Southport. It was while there that he randomly chose for his first horse-ride a horse which unknown to him was the Red Rum. At the start of his comedy career, Mack got to share his flat with Noel Fielding who, like him, is now a renowned British comedian. When Lee Mack isn’t penning jokes, one of the things he loves to do is play darts with his friend, Tim Vine. Lee Mack holds the Guinness World Record for the most darts number twos in a minute. Comedy happens to be in Lee Mack’s bloodline. During his appearance on the 2018 series of Who Do You Think You Are? Mack revealed that his great grandfather was a jobbing comic and used the stage name, Billy Mack. Lee Mack was diagnosed with the disorder in 2012. The disorder means that Mack’s mental activity levels are always high and that he has difficulties paying attention. It is also characterized by difficulty in controlling a behavior inappropriate for one’s age.